You could have the most amazing product or idea that a hackathon has ever seen, but if you don’t use your pitch presentation effectively no one is going to take notice. In this series of videos Nancy Duarte explains the importance of presentations and using them effectively when it comes to pitching an idea or product. Nancy Duarte is a communication expert who has been featured in a number of respectable publications as well as having written five best-selling books of her own. Her firm is a global leader in visual messaging surrounding business and culture. She’s a ‘persuasion expert’ that manages to weave storytelling and story patterns into business communications. In these videos Nancy Duarte gets right to the heart of what will make our presentations better when we start to work on our pitches. Don’t get creative before you understand your idea – Putting together your presentation is creatively telling your story in a linear fashion. If you start to put your idea into a pitch presentation before you fully understand it, it becomes so much easier to miss out on thinking about the finer details. You need to make sure you understand your idea in its messiest form before you can make it look pretty. A great pitch doesn’t start with ‘Save As’ – It’s super easy to open up an old pitch deck or presentation and then work your new idea into these old slides, but it isn’t going to be effective. Each new idea will have its own story, its own audience, and your presentation should represent that. Start fresh with a new presentation, give your idea that respect and originality it deserves. Are you spending too much time on your presentation? – Obviously having a presentation to accompany your pitch is important, but how much time is too much time when it comes to making your slides? It’s all about proportion as Duarte suggests. The presentation should be proportionate to what is at stake. If you spend the whole hackathon perfecting your presentation you run the risk of not delving deep enough into your idea, the challenges, or any number of things. These are all great things to remember as our #Hack4Homelessness draws closer. Are you going to remember these things and incorporate them into your pitch? Register for the hackathon here. Imagine for a moment what it is like to do this. Think of the stress and anxiety that comes with not having a safe place to rest at the end of the day. And then imagine that you are a young person. The simple fact is that youth homelessness is rising. The CHP fact sheet reveals that youth homelessness has increased 26% from 2006-2016. And more recent figures confirm this worrying trend. The thing about homelessness is that it often combines other challenges. For example, if you are homeless, it’s likely that you have experienced family and domestic violence, have (or will develop) mental health issues and experience financial exclusion and poverty. These create the conditions for a difficult downwards spiral that well-supported adults struggle to deal with. A young person may never find their way to a more stable future. Think about the young people in your life. Think about the young people you pass in the street. Help us imagine a different future for them. But it’s not all doom and gloom. Vibewire was established with the belief that young people should create, not inherit the future. And our Hacks4Impact are designed to put power, choice and decision making into the hands (and minds) of young people. In April 2019, we are calling on the hackers, hipsters, hustlers and humanitarians to help us develop new solutions to homelessness. We know that what we have on offer are not working – and we need to start somewhere. That somewhere is the MnM Institute on 5-7 April. Join us we make a difference. 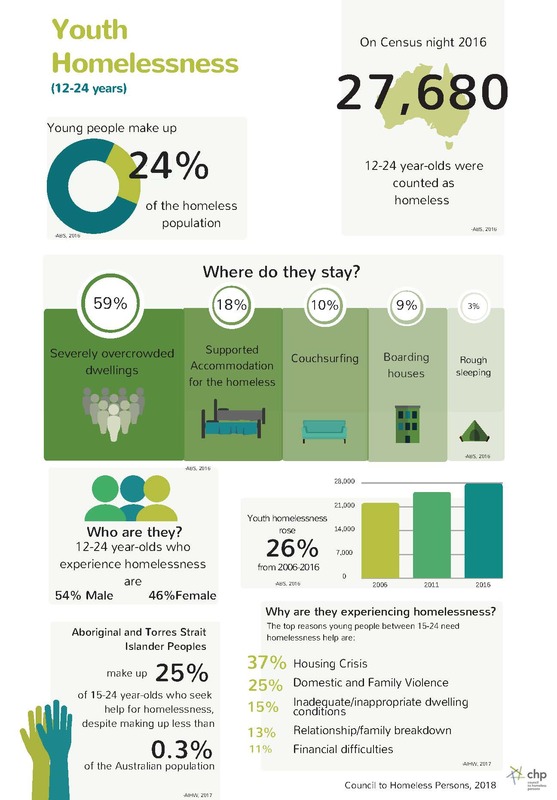 Over 9000 young people experience homelessness in New South Wales. In 2017, we ran our first social impact hackathon – on homelessness. We brought together a range of partners, peak bodies and companies and connected them with young creatives and entrepreneurs from the Vibewire community. We had great mentors from Domain.com.au, Jewish House, NSW Council of Social Service, SGCH, QBE Insurance, Minerva Collective and Exodus Foundation. People with the lived experience of homelessness shared their stories, our hackers, hipsters, hustlers and humanitarians “hacked” solutions. Two years later and we’re still seeing the same or similar challenges. And the problem seems to be getting worse. Youth homelessness has increased at a rate of 92% since 2006. What we learned through the hackathon process was that homelessness disproportionately impacts young people. And because it impacts early, it changes their future. Yfoundations are running a petition in the leadup to the 2019 state election. They have a simple ask – make NSW a better place for young people. 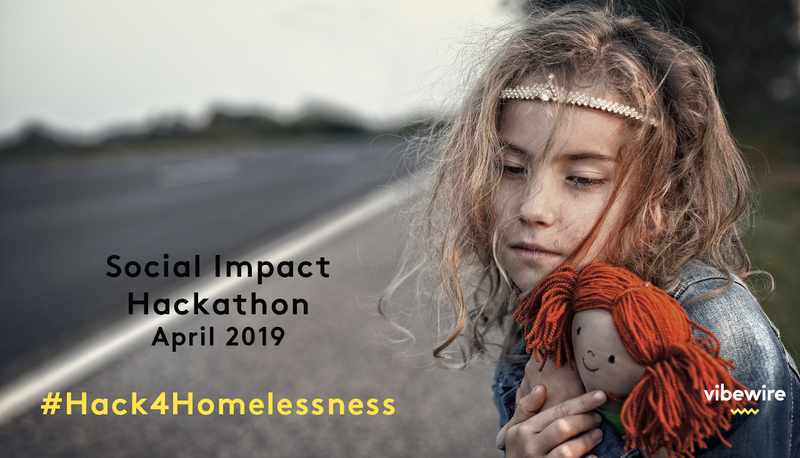 Sign up and share your concerns.And if you want to go a step further – put your passions, skills and experience to good use and join us for our Hack4Homelessness in April 5-7. We’d love to see you there.